You’ve probably heard a lot of complaints about men’s dress clothes. We don’t like having our necks constricted by dress shirt collars and ties. We get hot in suit jackets. Our belts are too tight when adjusted one way and too loose if adjusted to the next belt hole. Also tight? Dress shoes. Who designs these items and why do they wish us to suffer? One thing you probably don’t hear much about is men’s dress socks. We absolutely hate them, but since complaining about socks sounds ridiculous, we generally suffer in silence. How, you ask, can a simple sock possibly be a problem? Well, I’ll tell you. 1. Mens dress socks are uncomfortable. They’re ridiculously thin. We feel like we’re wearing pantyhose from the mid-calf down. They either strangle our legs because they’re too tight or they’re flimsy and loose and fall down. I’m not a fashion guru, but blah brown, basic black, and bum-you-out beige leave me feeling depressed. There has to be a stylish way to spiff things up a bit. 3. Once you lose one, you’re done. My dryer contains some kind of Sock Netherworld where they disappear, never to be seen again. With my basic white athletic socks, this is no biggie; I just pair one lone sock with another lone sock and I’m good to go. If I lose one beige dress sock, I’m guaranteed to never find its mate – or even another appropriate mate. This is why I was relieved to discover prince + pete. 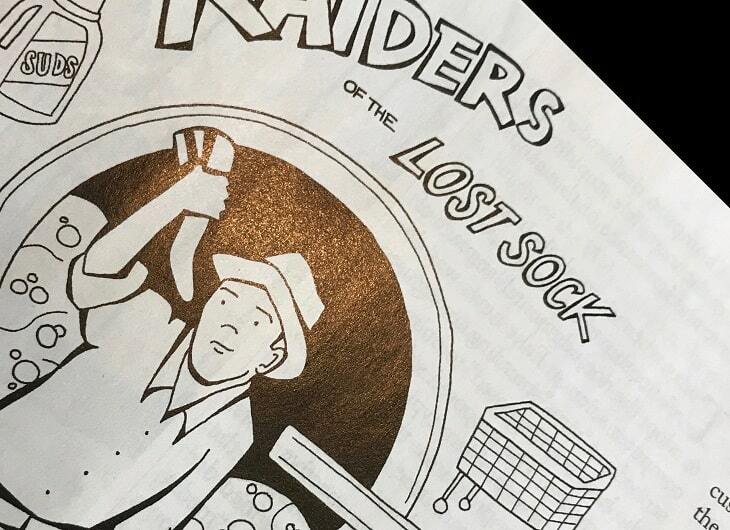 Their founders understand men’s pain when it comes to socks. That’s why they created a selection of socks that are not only comfortable and colorful; they’re also “perfectly mismatched” and coordinate no matter which two you grab. Their starter packs and monthly sock subscriptions help take the guesswork out of choosing styles, too, because all of their socks look really great. All you have to do is choose a color group and you’re good to go. So fantastic dress socks – check! Can prince + pete now do something about our uncomfortable dress shirts?